When Tony Romo tees it up this week at the Corales Puntacana Resort and Club Championship, he'll be in a position to prove a lot of people wrong — or right. "We're gonna hopefully go out and play some good golf and make 'em look hopefully smart," Romo said of the tournament sponsors who extended the invitation his way. "We'll see." Clad in his famous unmarked blue baseball cap and a logo-less navy shirt, Romo took questions from reporters Tuesday afternoon before playing a few holes of a practice round. He was cautious to raise expectations but insistent on the level of effort that he had put into preparing for the event. "Golf obviously wasn't my sport for most of my life," he acknowledged. "But yeah, I've put in a lot of time preparing for this so I'll be prepared to play at the best that I'm capable of this week." Romo has been at the Puntacana Resort, which is in the Dominican Republic, for several days practicing for his debut. His preparation has stretched back months, he said, focusing on turning weaknesses into strengths, and particularly on dialing in his wedges. When asked to contrast his approach with that of a pro playing for his livelihood, Romo reaffirmed his commitment. "Oh no, I'll be treating it very serious," he said. "The approach I've taken, my wife will tell you she hasn't seen much of me over the last month. If you know me at all I think you know that if I care about something I'm going to commit to it 100 percent." When the former quarterback tees off at 8:10 a.m. Thursday alongside Denny McCarthy and fellow sponsor's exemption Dru Love (the son of Davis Love III), he expects he'll be nervous. 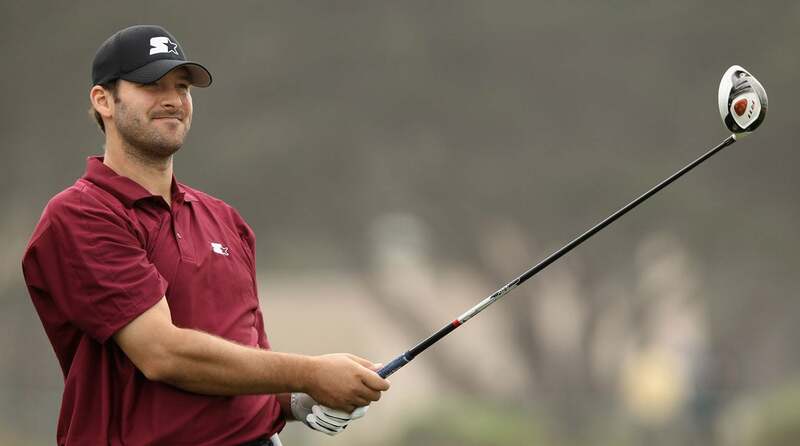 But he suggested his experience playing alongside the pros near his home in Dallas has helped him, as has exposure to crowds and pressure golf at events like the AT&T Pebble Beach Pro-Am. Plus there were all those years playing in the NFL — although Romo pointed out the ways in which the games are different. "After the snap of the football, you're reacting to the play and the surrounding things going on," he said. "In golf you're trying to commit wholeheartedly before you ever pull the club out of your bag ... I'm not worried about getting hit before I hit the ball; it's at my own tempo at my own speed in this sport. Sometimes that's difficult, sometimes that's easier, depending upon the situation." Fans will get to see how he makes that adjustment on Thursday.